DID YOU KNOW? Indoor air quality is one of the EPA's top 5 environmental health risks. If it is determined that you need a duct cleaning, we will begin by removing all of your register covers and thoroughly cleaning them to remove grime and dirt. 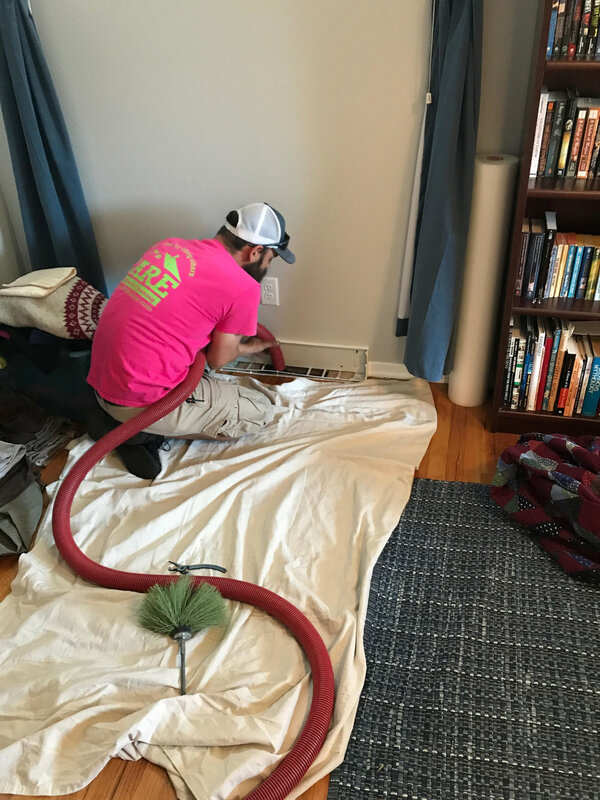 Our technicians will then insert a vacuum hose with a rotating brush head into your ducts to scrub them clean. We even attach a camera system to the hose so that you can see the cleaning process in action! Our state of the art equipment features four vacuum motors, 50 feet of hose and a 450RPM brush head to ensure that we can reach and clean every part of your HVAC system. DID YOU KNOW? Levels of air pollution inside your home can actually be two to five times higher than outdoor levels! After your duct cleaning has been completed we fog your HVAC system with an EPA registered antimicrobial mist, leaving your ducts fresh, clean and pleasantly scented. If you would like to schedule an inspection or cleaning, call us now! DID YOU KNOW? Your duct cleaning will always be supervised by one of our certified Air Duct Cleaning Specialists.